For too long, the American constitutional tradition has been defined solely by the U.S. Constitution drafted in 1787. Yet constitutional debates at the state level open a window on how Americans, in different places and at different times, have chosen to govern themselves. From New Hampshire in 1776 to Louisiana in 1992, state constitutional conventions have served not only as instruments of democracy but also as forums for revising federal principles and institutions. In The American State Constitutional Tradition, John Dinan shows that state constitutions are much more than mere echoes of the federal document. 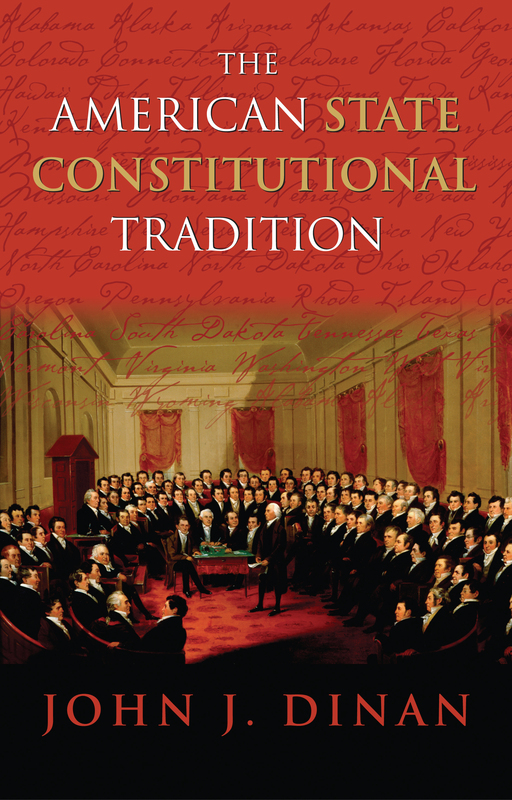 The first comprehensive study of all 114 state constitutional conventions for which there are recorded debates, his book shows that state constitutional debates in many ways better reflect the accumulated wisdom of American constitution-makers than do the more traditional studies of the federal constitution. Wielding extraordinary command over a mass of historical detail, Dinan clarifies the alternatives considered by state constitution makers and the reasons for the adoption or rejection of various governing principles and institutions. Among other things, he shows that the states are nearly universal in their rejection of the rigid federal model of the constitutional amendment process, favoring more flexible procedures for constitutional change; they often grant citizens greater direct participation in law-making; they have debated and at times rejected the value of bicameralism; and they have altered the veto powers of both the executive and judicial branches. Dinan also shows that, while the Founders favored a minimalist design and focused exclusively on protecting individuals from government action, state constitution makers have often adopted more detailed constitutions, sometimes specifying positive rights that depend on government action for their enforcement. Moreover, unlike the federal constitution, state constitutions often contain provisions dedicated to the formation of citizen character, ranging from compulsory schooling to the regulation of gambling or liquor. By integrating state constitution making with the federal constitutional tradition, this path-breaking work widens and deepens our understanding of the principles by which we've chosen to govern ourselves. John J. Dinan is Zachary T. Smith Associate Professor of Political Science at Wake Forest University and author of Keeping the People’s Liberties: Legislators, Citizens, and Judges as Guardians of Rights.